The fourth and final major of the year tees off Thursday at Jack Nicklaus-designed Valhalla Golf Club in Louisville, Kentucky. The field will feature 99 of the Top 100 players in the world for the third straight year—including World No. 1 and 2012 PGA Champion Rory McIlroy, as well as four-time PGA Champion Tiger Woods. 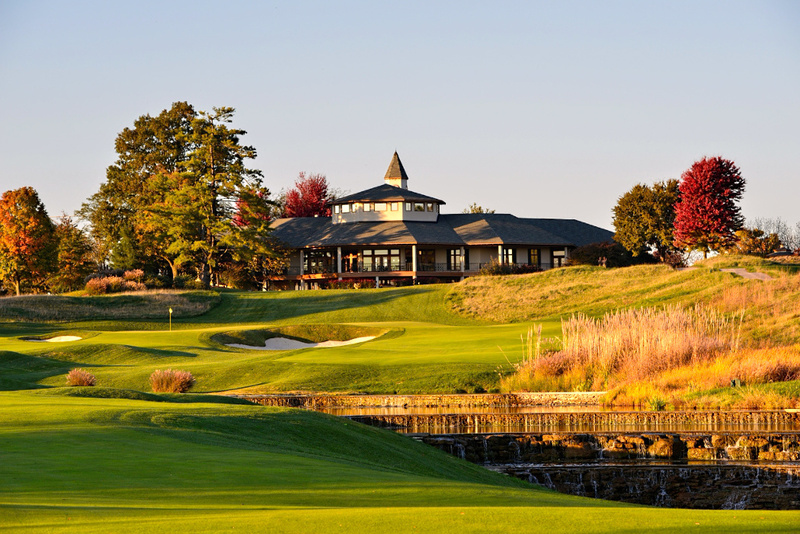 It has been 14 years since the PGA Championship was last played at the top-rated venue, which has previously hosted the 1996 and 2000 PGA Championships, the 2004 and 2011 Senior PGA Championships, and the 2008 Ryder Cup. Valhalla is one of a company-record 26 Nicklaus courses to host a PGA Tour-sanctioned event, and the PGA Championship is the third regular or senior major championship to be hosted on a Nicklaus course this year. Record-tying five-time PGA Champion Jack Nicklaus recalls designing the course, which opened for play in 1986. As the 96th PGA Championship neared, the course required improvements. An extensive renovation, undertaken by the Golden Bear and his design team in parts of 2011 and 2012, ensures excellent conditions for this week’s major. “The changes at Valhalla were initiated because the construction of the greens failed over time, which is not uncommon after 25 years,” Nicklaus said. “The gravel layer and the mix in the greens seemed to not work anymore. They said, ‘Well, since you’re going to do that, maybe it would be a good time to renovate and make a few odd changes from some comments that have been made over the years at events held at Valhalla.’ So we embarked upon that,” explains Nicklaus. The championship layout remains Nicklaus Design’s only golf course in The Bluegrass State. “It was a good golf course to start with. I just think it’s a better golf course now,” Nicklaus said. The course was ranked earlier this year in Golfweek’s Best Modern Courses list, and is a mainstay on Golf Digest’s list of America’s 100 Greatest Golf Courses. On his way to a record 18 major championships, Nicklaus hoisted the prestigious Wanamaker Trophy in 1963, 1971, 1973, 1975, and 1980. The Golden Bear last played in the PGA Championship when it was held at Valhalla in 2000. This year, he is collaborating with the PGA of America to host the award-winning PGA Championship Pick the Hole Location Challenge, designed to educate fans on how course setup impacts a golfer’s strategy in playing a hole; help explain what hole location information players are provided each day; and attract more people to the game. Fans will have until 7:00 p.m. on Saturday, August 9th, to vote for one of four final-round hole locations for No. 16, a slight dogleg right and one of the most difficult holes at Valhalla. Voting takes place at pga.com/vote. The PGA of America bought the club in 2000, with big plans in mind. Valhalla’s 438-acre tract easily accommodates 40,000 spectators, 6,000 support personnel, media compounds, corporate tents, and merchandising. There is ample parking, and a four-lane road delivers spectators to the front gates. “We worked with Kerry Haigh [Chief Championships Officer], and worked with the PGA of America and made sure that they had all the pin placements they needed and wanted for the PGA Championship or The Ryder Cup, or whatever event happens to be played there,” Nicklaus explained. This year’s PGA Championship has sold out all grounds tickets for each of the championship rounds, Thursday through Sunday—a testament to the power of Gahm’s original vision to bring a major championship to Louisville and to the design work of Jack Nicklaus.